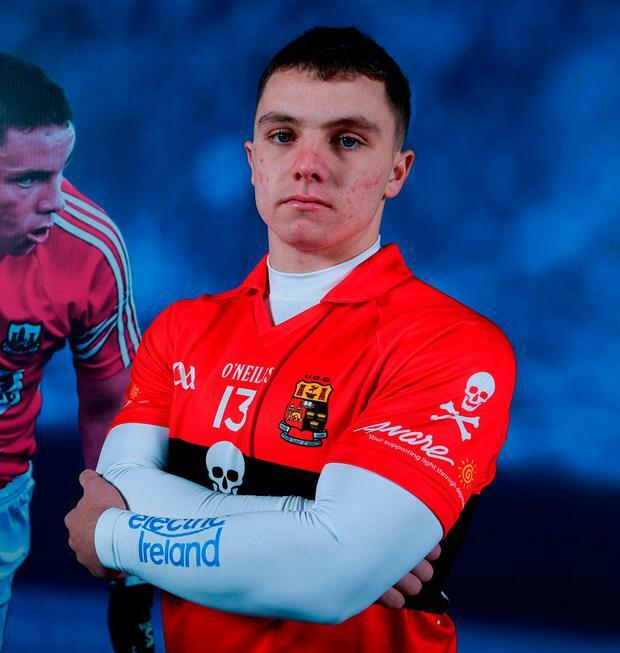 If anyone made the football world sit up and take notice in 2017, it was likely Cork tyro Sean Powter. The Douglas man had made his senior championship debut in Cork's ill-fated Munster SFC clash with Tipperary the previous year but it was last season when he made his mark though he admits that he had more modest goals for 2017 than the way it actually transpired. Cork spluttered their way through the season. Defeats to Clare in the league and a weak showing in the Munster final against Kerry meant they shipped plenty of criticism. They almost sparked into life at the right time when they brought subsequent All-Ireland finalists Mayo to extra-time. Powter led the Cork defiance that day with his potent mix of power and speed troubling Mayo. And having also played well against Kerry, he quickly became the name on people's lips. Joe Kernan noticed him too and made him a late addition to the International Rules squad last year to cap what was a meteoric rise. "No, I personally didn't think that was how the year would end up," he said of the trip to Australia. "Personally, I didn't think I was going to get called up due to my height. I thought it was a big man, tall, strong fella's game but as you saw you need a bit of both." Cork mixed the good with the bad in 2017. The glass-half-full version of their display against Mayo in the back door is that when they get things right, they can mix it with the best. But Powter also points out that playing to that level consistently has been their Achilles heel. "It gives us hope (the performance against Mayo) but it was also quite annoying knowing how good you can be and then the two weeks before you play horrendously against Kerry and don't even show up. So it was annoying in that sense but we're optimistic for this year. "I'm really not too sure (why Cork are inconsistent). I think it's a mindset, really. You've got to take every team as if they're a Dublin or a Mayo. That's what we did when we got to the All-Ireland U-21. "We thought Clare and Waterford were the best teams in Munster so we played them like they were the best teams in Munster." "We did take a lot of criticism last year especially but most of it was deserved. You can't really go out and perform like that against Kerry and not expect a backlash. "I thought we proved ourselves against Mayo, did ourselves proud against Mayo." And he believes the Cork public will get behind them if they can produce gutsy performances like the one against the Connacht men. "We didn't really give them a lot to support us about last year so I can't really see a big support at the start but as long as we just try our best and show a bit of heart, I think people will follow us. (Cork) people usually do follow teams that are going good so hopefully we can get them behind us." Ronan McCarthy's men are back in action on Saturday when they face Colm Collins' Clare side in the McGrath Cup final. And after losing to the Banner last spring, Powter insists they won't be taking them for granted. "It's just games, (we want), we're sick of running up and down the pitch with balls, slogging it out, it's always nice to get games under your belt and just play a bit of football. "Sure they beat us in the league last year so we won't be taking them lightly like we did last year. They'll be tough enough."